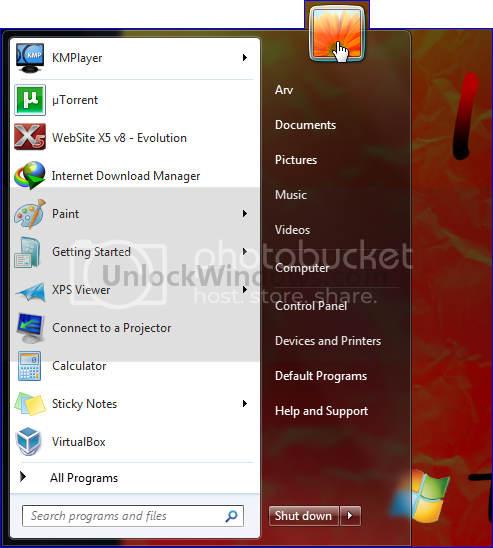 Parental Controls can be used to manage how the children use the computer. Like we can set limits of using the computer, the types of game they can play, and type of program they can run. With the help of Parental Controls we can easily monitor the activity of our children. 1. Click on Start and then click on your account pic to opn the User Account. 2. 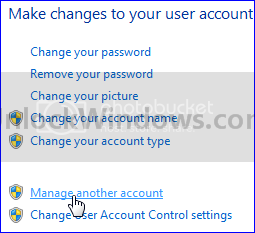 Now click on Manage another account. 3. 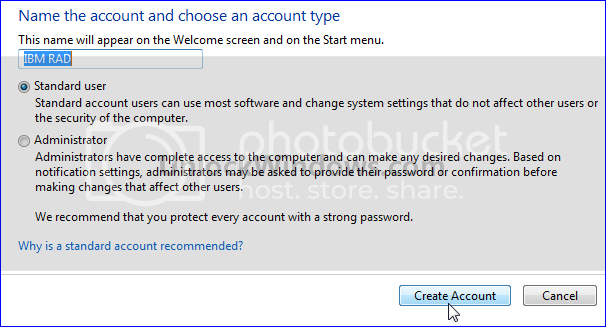 Create a new account and assign the type to it as whether an Administrator or Standard user. 4. 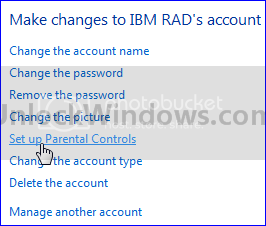 Select the account for which you want to setup the Parental Control by clicking on Setup Parental Controls. 5. 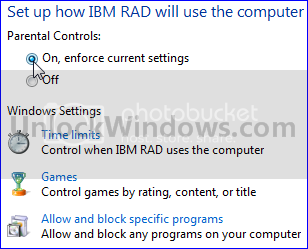 Choose On Radio Button from Paretal Controls section to enforce current settings. 6. 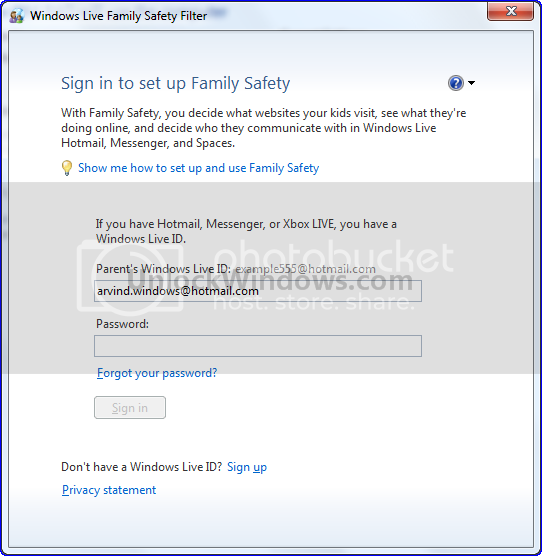 Sign in to Windows Live Family Safety Filter for setting website’s control over the aacount, as what they visit, what are they doing online etc. 7. Apply the settings and you are done. Now you and your childre are safe with the help of Parental Controls and can easily monitor their activities over usage of computer, game playing , running of programs and also the world of Internet they are moving in. Happy Windows Computing..!! !